DiPrete Engineering is always looking to grow its talented and creative team of engineers, surveyors, and planners, and one of the ways it achieves this is through its internship program. DiPrete’s program offers students and future professionals a challenging and fulfilling work environment where they will gain valuable skills and a strong work ethic. 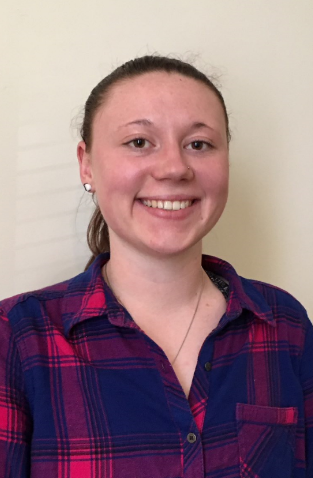 As part of its program, the DiPrete team recently welcomed Erika Addison, a student at the University of Rhode Island (URI), with a spring semester internship. Erika joined DiPrete in January and will be graduating this May with a Bachelor’s degree in civil and environmental engineering. She will then spend a year in the University’s accelerated Master’s degree program. DiPrete’s internship program provides interns with the chance to explore the land development, permitting, stormwater management, and land surveying fields. During her internship, Erika has learned about civil engineering specific AutoCAD commands and formats, and how to use various databases. “We pride ourselves on giving our interns real, meaningful work that will not only help them grow as engineers but also help our team accomplish tasks and be more successful,” said Eric Prive, Senior Project Manager at DiPrete Engineering. Erika chose civil and environmental engineering as her major because she has always enjoyed math and science. In addition, both her parents are engineers, so it was a career she was already familiar with. Through her work at DiPrete, Erika has realized her passion for the environmental/water resource aspect of civil engineering. Outside of engineering, Erika is a member of URI’s ultimate Frisbee team.